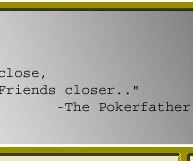 The Sportsbook Poker poker room opened in 2006 on the Cake poker network and immediately established itself as a major player. 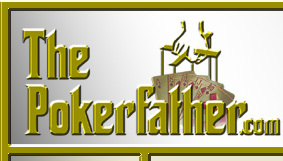 The poker room has grown at a very quick pace and offers maybe the loosest and juiciest games available online today. The player base is recruited through the sports book and casino, making a large portion of the players beginners and very easy to beat. The software features nice graphics and functionality, as it was developed by a group of poker players looking to "re-invent" the online poker world. The functionality is good and offers basically everything most poker players need, with table statistics, fast play, the ability to play over 10 tables simultaneously, and great support features. Players will find all variations of Texas Hold'em on the site, as well as Omaha, Omaha Hi-Lo, Seven-Card Stud, and Seven-Card Stud Hi-Lo. The games vary between No-Limit, Pot-Limit, and Fixed-Limit. Full-table games, short-handed, and heads-up tables are all available. The games are concentrated on No-Limit Hold'em, especially at the small and middle limits, but at peak hours players can be found at pretty much any limit and game. 100% up to $1000 Deposit Bonus! •All First Time Deposit bonuses are matched 1000% up to $1000! Join The Million Dollar Freeroll Series! Every week Sportsbook.com Poker is giving away more than $314,000.00 guaranteed cash in tournament prize money. Every day we are running various buy-in tournaments with guaranteed levels of prize money. If the buy-in prize pool does not reach the guaranteed amount, Sportsbook.com Poker will make up for the shortfall. In poker, there's nothing quite as satisfying as busting another player out of a tournament. Well here at Sportsbook.com Poker we're proud to offer 'Bounty tournaments' where each player has a cash bounty on their head. Bust someone and the cash is yours! These unique tournaments place 1/2 of the tourney buy-in into the main prize pool . The other 1/2 is put into a special bounty prize pool. For each player you knock out you'll receive 1/2 of the tourney buy-in. 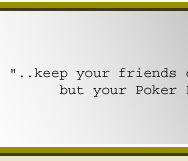 For example, in a $10 buy-in tournament, each player you bust out will earn you $5. These tournaments will have the word 'Bounty' in their name. Enjoy! • Accepts U.S. credit card deposits! Real-money player statistics at Sportsbook Poker show 4,500 real-money tournament players at peak hours. Sportsbook Poker hosts quite a lot of tournaments, with buy-ins ranging from as little as $1 all the way to several hundred dollars. The tournaments are quite well-populated, fast and have good structure. As opposed to most sites, Sportsbook Poker run a lot of their tournaments in other formats than multi-table - a lot of heads-up and single table tournaments are available. Sportsbook Poker run some guaranteed tournaments, and to date the largest one is the $8,000 guaranteed. When looking at the tournaments offered at Sportsbook Poker, it's clear the fast accumulation of players has to some extent taken the site by surprise, and new tournaments are being added quickly to accommodate the demands of the players.